The microbial populations that inhabit the gastrointestinal tract (GIT) of birds play an important role in the establishment and maintenance of a healthy gut. 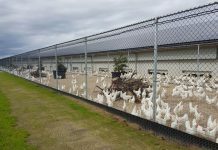 For a number of years we have been studying the composition of the gut microbiota looking for correlations between its structure and the growth performance of broiler birds. 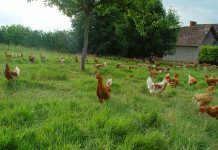 It has been essential to understand how the microbiota influences bird health and productivity and then go on to develop ways to manipulate the interactions to maximise performance and health and produce flocks with more even performance. In-feed antimicrobial growth promoters have been one way that the host-microbiota interaction has been manipulated. However, in the future, with the need to provide alternatives to the use of antibiotics within production animals, the manipulation of the host-microbiota is likely to rely more heavily on products such as prebiotics and probiotics. Here we review some of the high level findings and conclusions we have drawn from our extensive microbiota studies. The explorations of the gut microbiota that we have undertaken have revealed a hitherto unexpected level of complexity in the composition of the microbiota. It is only with the application of advanced methods of analysis that this complexity has been fully revealed. Traditional methods for analysis of the gut microbiota had relied on enumeration of various different classes of bacteria, by culturing on agar plates, using a variety of different media compositions. These methods detected only a limited range of common bacteria. The culturing methods have been largely superseded by molecular methods; first by gel based methods but more recently DNA sequence based methods. 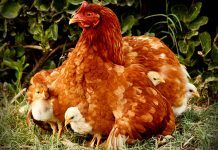 It is these powerful new methods, facilitated by the rapid advances in next generation DNA sequencing (NGS) technology, that we have applied to poultry samples to investigate the gut microbiota to an unprecedented level of detail. (i) we just don’t have the correct media to grow some bacteria on and (ii) some bacteria may only grow within a consortium of other bacteria and cannot be cultured in isolation. A consequence of the discovery of greater complexity within the gut microbiota is that there are potentially many more types of bacteria that could potentially be harnessed for use as probiotics and competitive exclusion agents. Currently the spectrum of bacteria that have been tested for utility in such products is fairly narrow. If some of the culturing challenges can be addressed we may be able to access many more potential products that could be used to improve bird performance. Even within the well-studied Lactobacillus genus the molecular analysis techniques indicate that there are many uncharacterised species of Lactobacillus present that that could be a source of new products. Certain genera of bacteria, such as Lactobacillus, have been generally regarded as being beneficial to the host. However, the detailed microbiota characterization empowered by culture free methods has repeatedly shown that some members of this genus are often correlated with poor growth performance in broiler birds. Conversely, some bacterial types, such as the clostridia, that have traditionally been considered to be “bad”, have some representatives that are actually strongly correlated with high level bird performance. It is clear that probiotic potential of a bacterial isolate cannot be accurately deduced simply by knowing what species it is; probiotic activity is a characteristic of a specific isolate. In addition to the overall complexity of the microbiota we have also found that there is a second level of complexity, which is of even more importance in considerations of how to harness microbiota manipulation for productivity improvements. The emerging story, that has been something of a surprise, is the high levels of variation in microbiota composition between flocks and even between birds in a single flock. Even though birds within a flock generally come from the same hatchery, the same parent stock, are housed together, have access to the same feed and water and environmental conditions and are coprophagic, we still find that they can have quite different microbiota. We have speculated that these differences indicate the importance of the initial microbial colonisation in the earliest hours following hatch. The hatching of chicks takes place in the absence of adult birds and normal brooding and nesting behaviour typical of wild birds. 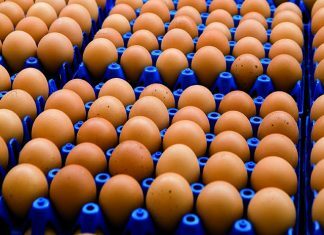 Therefore, newly emerging chicks have no access to “normal” bird microbiota, apart from bacteria residing on or in egg shells if not thoroughly cleaned and fumigated prior to setting. Colonisation is presumably driven by exposure to random sources of bacteria such as those that might be present on shells, in the transport boxes, transmitted from human handlers, present in the first feed they are given and in the initial receiving environment. The stochastic nature of this bacterial acquisition may mean that small variations in the composition of the initial bacterial inoculants may have permanent effects on life-long microbiota composition. The degree of variation in microbiota composition in bird-to-bird comparisons is certainly much greater between flocks than within a flock. Comparisons within a flock generally show variation in the abundance of different species, genera, and families of bacteria whereas between flocks can, at times, be very significant differences in phylum abundance. Such large differences in composition are likely to have profound effects on how the host-microbiota meta-organism responds to diets, treatments and medications. This significant level of variability represents the “black hole of complexity” in the title of this presentation. The finding of great variability between trials was, initially, a great impediment to our goal of identifying specific bacterial strains within the microbiota that were consistently correlated with good performance and hence may have potential for development as probiotics. If the GIT microbiota across trials is very different then there is no prospect of identifying individual bacterial isolates present across all trials. Despite these complications it has been possible to draw some general conclusions regarding the composition of a favourable microbiota. High performance birds generally have more complex microbiotas compared to that seen in low performance birds. The bacterial types within the high performance birds tend to be more evenly distributed such that the microbial populations not dominated by one or a few types of bacteria. Within the published work that has investigated the efficacy of various prebiotic, probiotic and symbiotic products, including the wide array of phytogenics that have been assessed, there are often large differences in observed efficacy reported for a product from study to study. We postulate that the apparently different responses of birds to these products may be caused by large differences in the microbiotas of different flocks. It would seem reasonable to expect such products, which rely, at least in some part, on their ability to interact with and modify the gut microbiota may have differential effects within radically different microbiotas. For example, consider the case of probiotics. To be truly considered a probiotic a particular organism should have beneficial effects on the host when delivered as a live product. Such a live product potentially interacts with all the other live organisms within the microbiota. Within one particular microbiota setting a probiotic may be able to live synergistically within the microbiota whereas a different microbiota may competitively exclude the probiotic strain or perhaps even actively kill it. This gives us a basis to understand why the reproducibility of many results with prebiotic and probiotic type products can be doubtful. More effective products to promote gut health can be developed if the significant level of microbiota variability is taken into account. Much of the variability in GIT microbiota is established during the earliest phase of microbial colonisation of the gut. 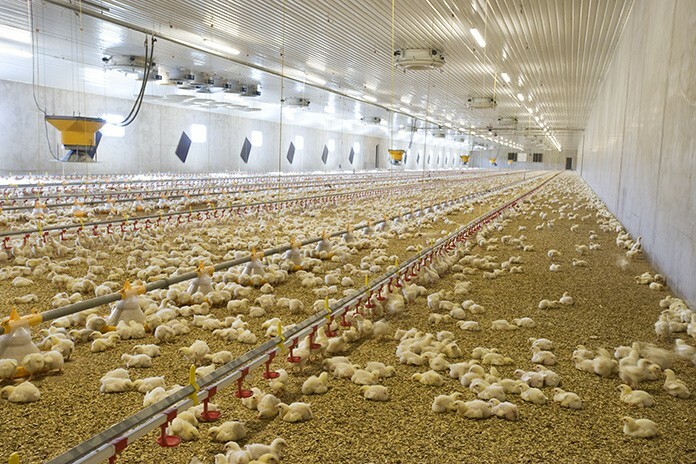 Therefore, we hypothesise that products aimed at the initial establishment of the microbiota, using microbial/probiotic inoculants in the hatchery, are likely to be effective in producing flocks with a more uniform microbiota. That in turn is likely to result in a flock with more even performance. New approaches need to be taken to the selection and assessment criteria that are applied when developing products that are likely to function by interacting with the mature microbiota. We need to be especially mindful of the need for products that can cope in different gut microbial environments and indeed should build in such assessments to the product development process. Current probiotic products available to the industry need to be used multiple times, sometimes on a daily basis, and even throughout life. This indicates that they have little ability to establish themselves with the GIT microbiota. There may be opportunities to develop a new generation of probiotics that are better able to colonise, establish and grow within the GIT microbiota. The particular need is to identify probiotic bacteria that display these properties in the face of the variable native microbiota that any probiotic product will inevitably encounter. There is likely to be a need to undertake more detailed in vivo selection and assessment processes to identify new probiotics. The in vitro tests, such as acid and bile resistance, adherence to cultured cells, aggregation ability, etc., that have traditionally been used as preliminary screening mechanisms for probiotic identification are not well suited to addressing the obvious challenge of adaptation to the changing and variable environment that we now know occurs in the GIT.